While exploring with Sony lenses, we itched to try portrait shots one day and we started to look at the various options available to us. 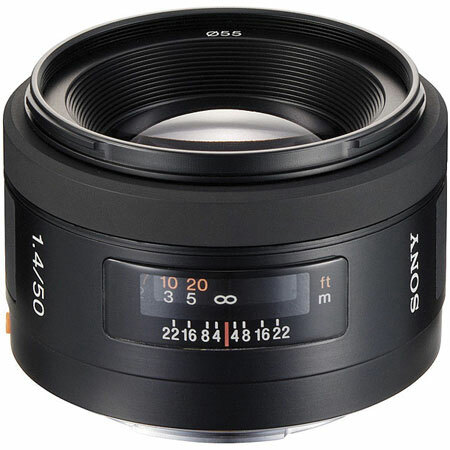 This purchase is to be our 3rd Sony Alpha lens so all specifications are considered and factored before deciding on which lens to acquire. Due to my Canon’s influence, I was looking at the 50mm F1.8 and the 50mm F1.4, which after some serious comparisons and reserching online, we picked the latter. It was a wise move. The F1.4 cost 2 times of the F1.8 (based on Sony Style’s RRP), but the quality of the F1.4 is 2 times better too! I am not going to touch on the F1.8 here since I bought the F1.4, so I will share more on this lens. At F1.4, the background blur (Bokeh) is out of this world. Extremely "creamy" and consistent, the blur can sometimes be mistaken or pass off as soft focus which made this lens an ace for portraiture work. The picture quality is comparable to Nikon & Canon’s equivalents which is of high quality. So if you are looking around and considering a lens for portrait or multi-purpose use, look no further, get the Sony SAL 50mm F 1.4 SAM. – Lens Hood SH0011 (Supplied in Box). – AF Runs on medium-fast Smooth AutoFocus mechanical motor (SAM) – (This Lens is much quiter than most SAM Counterparts). – Focal Range when used on cropped bodies with APS-C sensors – 75mm. 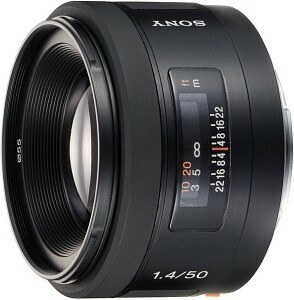 – Sony Alpha-Mount (Non-DT) is designed for use on Sony Alpha Full Frame bodies & APS-C Cropped Bodies (with corresponding increase x1.5 APS-C). – Lens Build quality is Excellent. – 55mm Filters are cheap to buy. This entry was posted in Brand: Sony and tagged Alpha, DSLR, Lens, Sony. Bookmark the permalink.